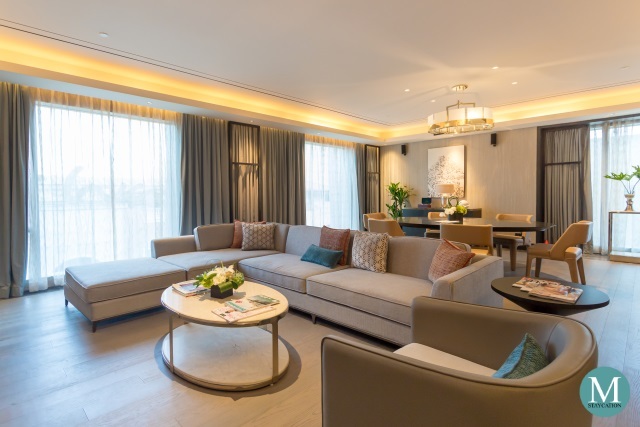 We were recently invited by Hilton Manila (马尼拉希尔顿酒店) to take an exclusive tour of the property and we were impressed by the design, dining offerings and the high-tech features of the hotel. Here are some of the reasons why you should be equally excited to stay at Hilton Manila. 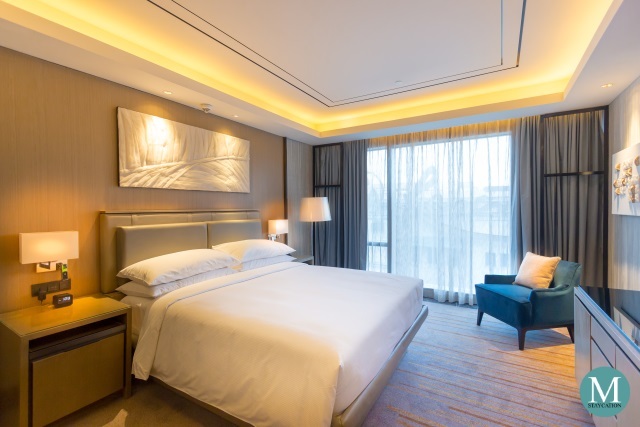 Hilton Manila has a total of 357 spacious guestrooms and suites with the lead-in room category measuring 40 square meters. That's indeed a lot of space to move around. In addition, all rooms and suites are equipped with a 55-inch full HD Smart television. 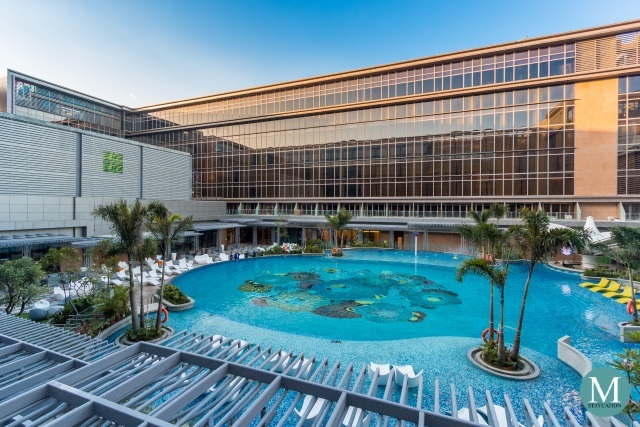 Isn't Hilton Manila perfect for your next family staycation? Hilton Manila is also the first to bring key-less hotel room entry technology in the Philippines. By downloading the Hilton Honors application to your smartphone, you can skip the front office and check-in right at your fingertips and swing your way in your room with just a tap on your phone's screen. 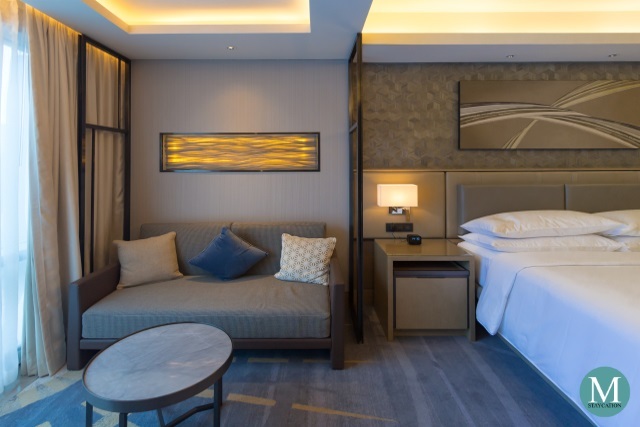 Hilton Manila's suites are even more spacious with a livable space starting at 80 square meters. All suites have a dining area and a pantry. 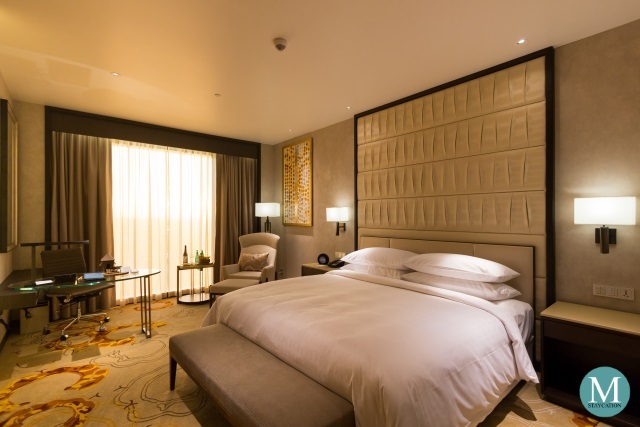 All executive category rooms and suites are also provided with a Nespresso machine. The higher suite categories even have a mini kitchen. 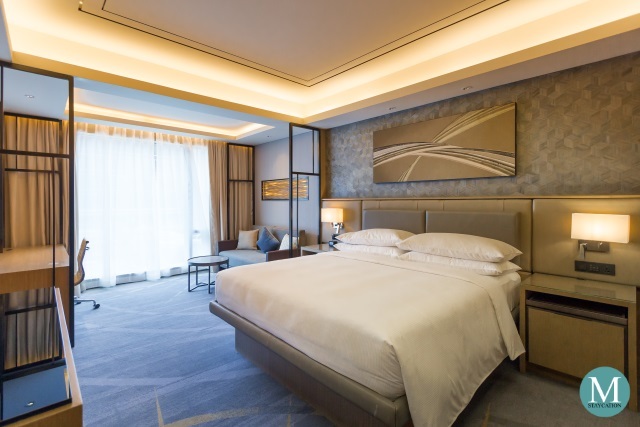 All rooms at Hilton Manila feature the signature Hilton Serenity Bed which promises an excellent sleep quality during your stay. This is coupled with a pair of soft and firm pillows and crisp cotton sheets. Whether you are a business or a leisure traveler, or on a weekend staycation, you will wake up every morning feeling well rested and energized. 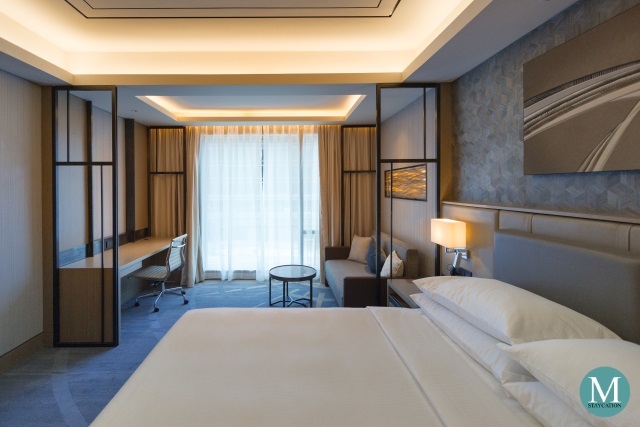 All rooms and suites at Hilton Manila have the four point bathroom layout which features separate bathtub, walk-in shower, water closet and sink. Guests are provided with premium Verbena & Lavander scented body & bath amenities by Crabtree & Evelyn. Hilton Manila will also be home to four exciting food and beverage outlets. Located on the ground floor is Madison Lounge + Bar. 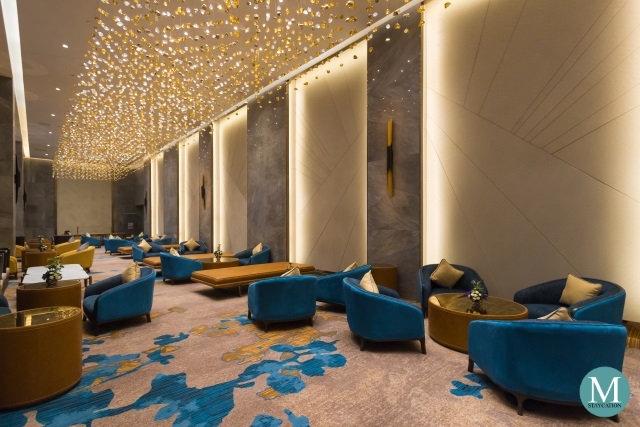 It serves as the hotel's lobby lounge offering espresso and tea based beverages as well as light snacks and Grab & Go items. In the evening, it transforms to a lounge bar where guests can unwind through cocktails and live acoustic music. Located on the lobby level is Kusina Sea Kitchens, the hotel's all-day dining restaurant which offers local and international cuisines prepared in live cooking stations. Guests who booked a bed & breakfast package will enjoy their buffet breakfast in this restaurant. Heading the kitchens of Kusina is Chef Patricia Mesina who will be bringing some of her home-grown Filipino and Kapampangan dishes to Hilton Manila. Another first in the Philippines is Hua Ting, Hilton Manila's very own specialty Shanghainese restaurant. 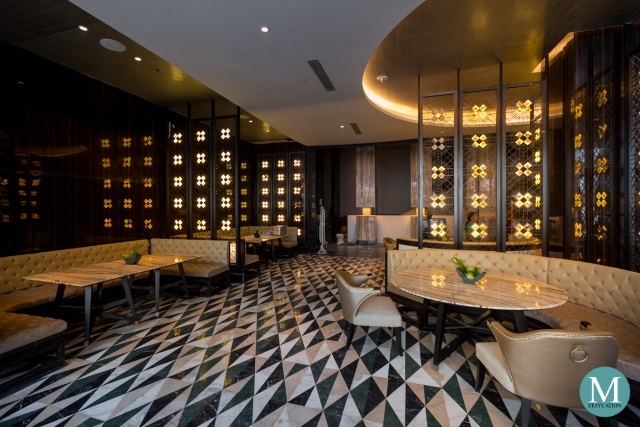 Guests will be welcomed by the chic chinoise vibe of the restaurant with its cosmopolitan French-Shanghainese inspired circular booths with button tufted chaise chairs. Hilton Manila has also flown in a chef from Shanghai who will be giving Filipinos a taste of both authentic and modern Shanghainese cuisine. Also located on the lobby level is Port Bar which is the perfect place to cap the night with craft beers and premium spirits. A little bit of trivia. 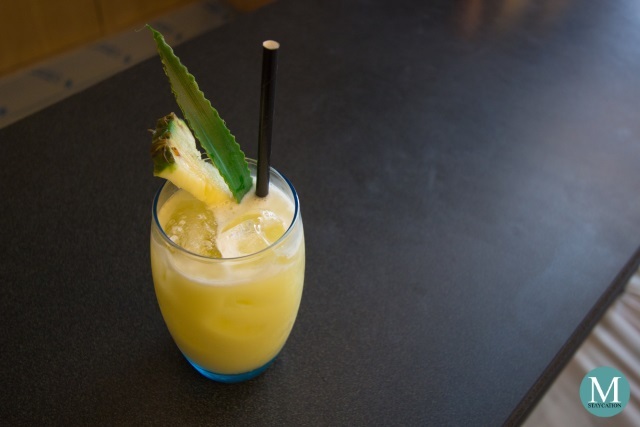 Pina Colada is a famous cocktail first invented at the Caribe Hilton Hotel in San Juan, Puerto Rico. Soon enough, you will be able to sample this Hilton classic at Hilton Manila's very own Port Bar. No hotel is complete without a pool, especially here in the Philippines. 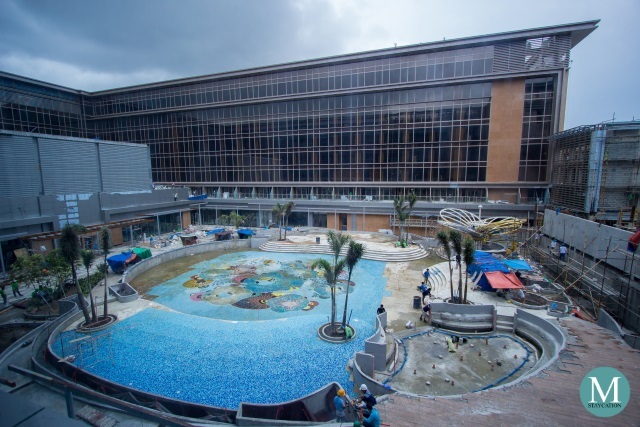 Hilton Manila will feature a resort-style free-form outdoor swimming pool. Kids will also have their own area to swim and play with their parents and other kids. The outdoor pool will also have a swim up bar where guests can order chilled juices and cocktails. 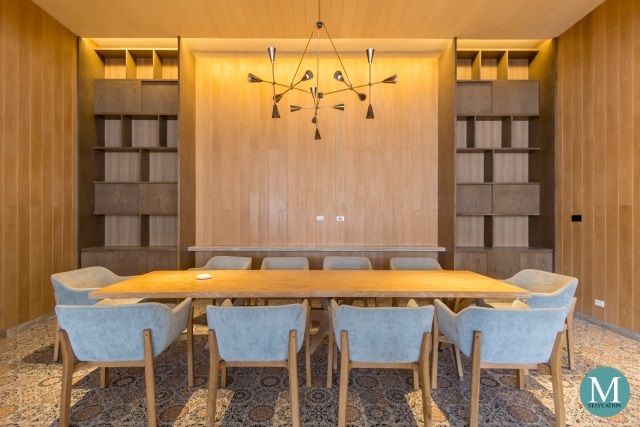 Hilton Manila is the best place to impress your clients and employees through its sophisticated meeting venues. Some of the features that will blow your mind are the projectors that can connect to your laptop wirelessly. This allows the presenter to freely move around the meeting room. The Hilton Ballroom measures 545 square meters and is big enough to accommodate up to 1,000 persons in a cocktail setup. 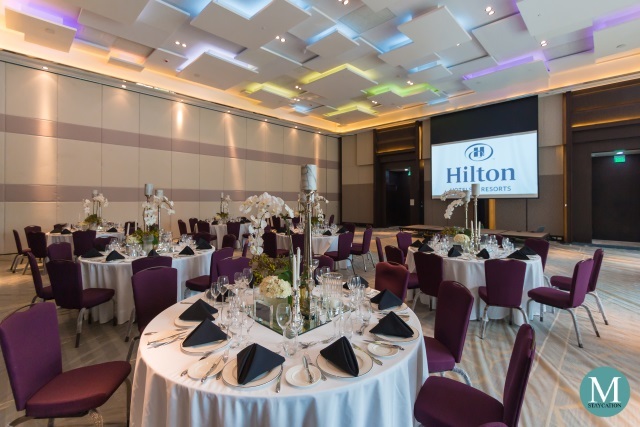 The Hilton Ballroom can also accommodate up to 360 persons in a banquet setting, making it perfect for weddings and conferences. 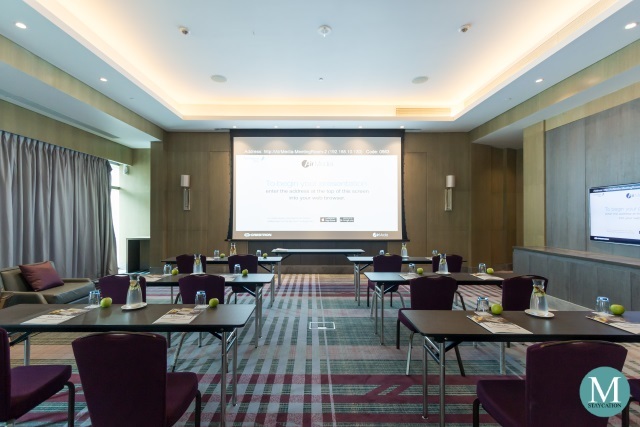 The Hilton Ballroom can also be partitioned into two smaller ballrooms to accommodate smaller events such as seminars. Be among the first guests of Hilton Manila by booking your stay in advance, and enjoy up to 20% savings per night (check rates here). Hilton Manila is now accepting reservations for stays starting from 01 November 2018. 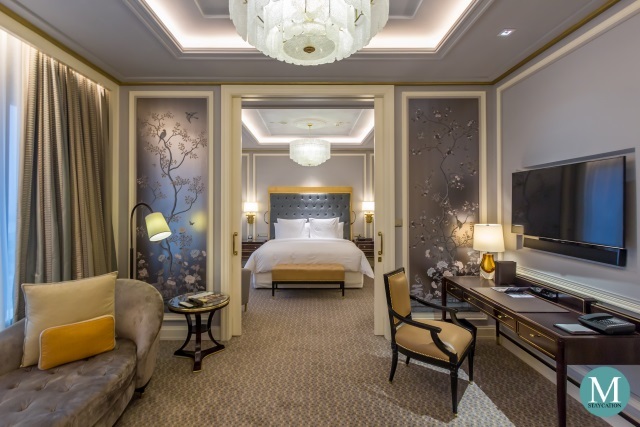 As part of the grand opening promotion, Hilton Honors members staying at Hilton Manila from 01 November 2018 to 31 March 2019 will get an additional 1,000 Bonus Honor Points per night. If you are not yet a member of the Hilton Honors loyalty program, you can join here for free. Thank you very much Hilton Manila for giving us a sneak peek into your rooms, restaurants and meeting spaces. We are looking forward to your opening.